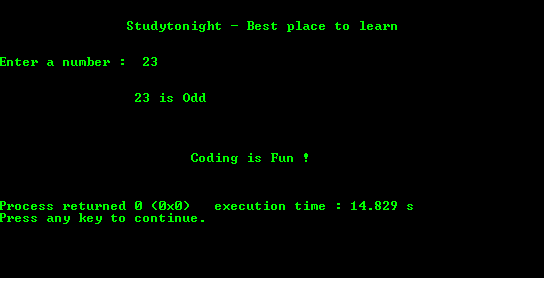 Below is a program to find whether a number is even or odd using bitwise operator. x&1 returns true if the LSB(Least significant Bit) of binary representation of an integer x is 1. It returns false if the LSB or the Right most bit in a binary sequence is 0. In binary representation of an integer, if LSB is 1 then it is odd and if LSB is 0 then it is even. We have used a simple for loop to input numbers and show how to use the Bitwise operator. You can take input from user using scanf() and use th same logic to find if the input number is odd or even. 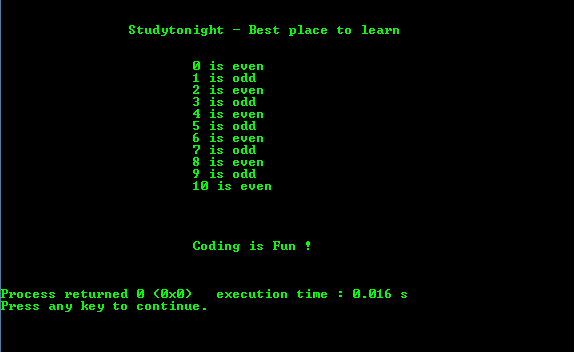 Below is a program to find whether a number is even or odd without using %(Mod) operator.